David Grace delivered one of snooker’s greatest fightbacks tonight to reach the semi-finals of the Betway UK Championship. The 30-year-old Leeds-born potter trailed 5-1 against Martin Gould and his storybook run at the York Barbican looked to be over in their best-of-11 quarter-final. But the world No 81 - who was in unchartered territory having never got this deep into a tournament before - reeled in Gould, before clinching a dramatic final frame and secure a 6-5 triumph. It guarantees Grace - who cleans tables at Leeds’s Northern Snooker Centre to help pay the bills - a £30,000 pay day, even before he pots a ball against Liang Wenbo in Saturday afternoon’s semi-final. Whatever the outcome, it will be Grace’s biggest pay day of a career which started in 2008, when he first turned professional. The world No 81 only pocketed £13,000 during the last two seasons on the Tour, but the cash will elevate him up the rankings and closer to a coveted top-64 spot. If he beats Wenbo, he would pocket a cool £70,000 for reaching Sunday’s final. Grace’s previous best was a last-32 spot in this year’s Shanghai Masters, when he picked up £9,000. After an amazing 10 days which has seen Grace beat former world champion Peter Ebdon, he entered tonight’s match as a huge underdog. He was hailed as “one of your own” by MC Rob Walker as he was cheered into the Barbican arena by the Yorkshire crowd. Dressed in all black, Grace had to dash home to Bradford on Thursday after running out of clean shirts due to his extended stay in the tournament. And he showed no nerves after opening up with a 45 break in the best-of-11 match before missing the black. That was not too damaging, but when he followed that with a stray long red, Gould stepped in to clear up and pinch the frame. Leeds-born Grace has been inundated with media attention as his winning run has gathered pace at the Barbican, and he showed he can perform in front of the television cameras as he responded with a fluent 74 break to level the match at 1-1. Londoner Gould, the 24th seed, has enjoyed steady form this season, having reached the final of the Australian Goldfields Open before losing out 9-8 to John Higgins. And the 34-year-old showed his class with a 125 clearance to retake the lead. That meant another donation to Sheffield charity Bluebell Wood, with sponsors Betway donating £10 for every point scored over breaks of 100. The North Anston centre offers care and support to children with a shortened life expectancy, both in their own homes and at the hospice. Grace had plenty of local support and was being cheered on by family and friends, including fellow Leeds professionals Oliver Lines and Sanderson Lam. He should have gone into the mid-session interval level at 2-2, but spurned a couple of chances to allow Gould to move 3-1 in front. 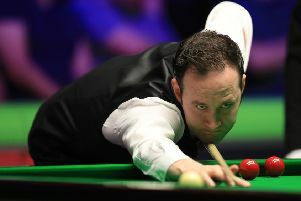 It was to prove costly, as Gould – who had gone under the radar to reach the quarter-finals – returned to fire in another century, 127, and stretch his advantage. This was a real test of Grace’s nerve now. 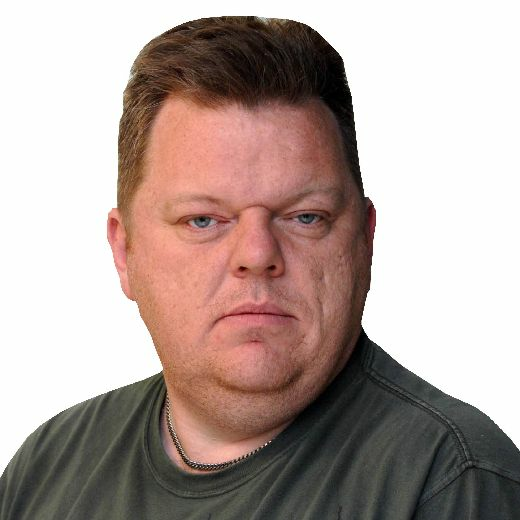 The sixth frame proved a tough examination of the Yorkshireman’s safety play, and Gould was shading that contest. Both players had chances at the table, but Gould took his opportunity, a 74 clearance leaving Grace helpless as he watched on from his corner seat. The local favourite was now on the ropes, but Grace showed his cool to come from behind with a 50 clearance, including a tricky final black down the cushion, to keep the match alive at 5-2. While victory from this point seemed unlikely, Grace was at least putting on a show on the big stage and avoided a feeling of anti-climax. He was first into the balls in frame eight, but left the black hanging over the pocket on 21, to hand Gould the chance to close out the match. But he faltered on 34, a missed red his downfall, before downing the cue ball, and Grace was in there fighting. In the other quarter-final, world No 1 Mark Selby progressed to the last four, beating Matthew Selt 6-1 with a top break of 72. His victory sets up a repeat of the 2013 final against Neil Robertson, which the Australian won 10-7.